1889 1c. Pres. 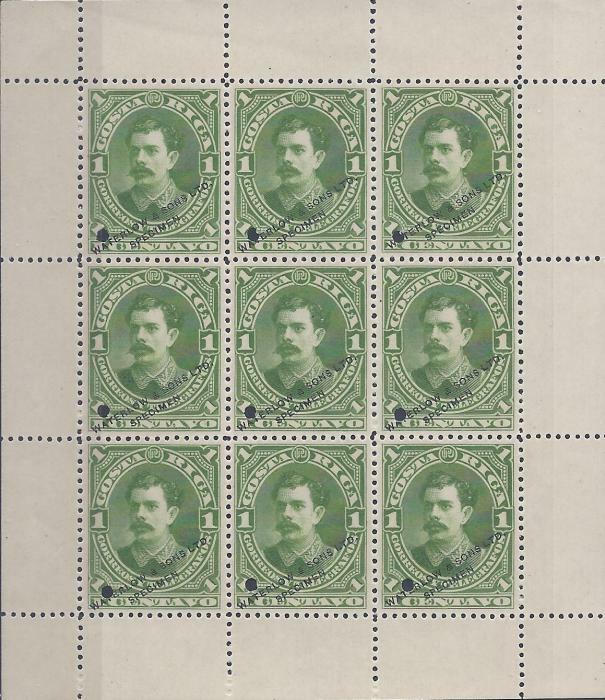 Soto in sheetlet of nine, each overprinted 'Waterlow & Sons Ltd/ Specimen' and with small punch hole at bottom left, fresh unused without gum. 1904 10c. 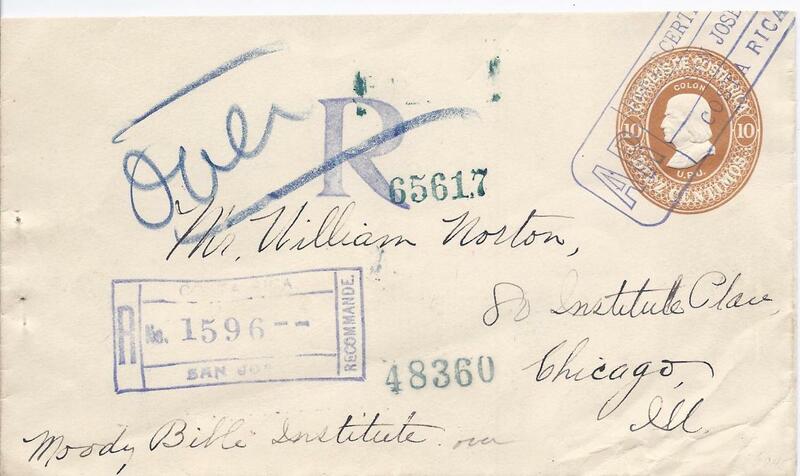 postal stationery envelope AR registered to Chicago and uprated with three 5c. 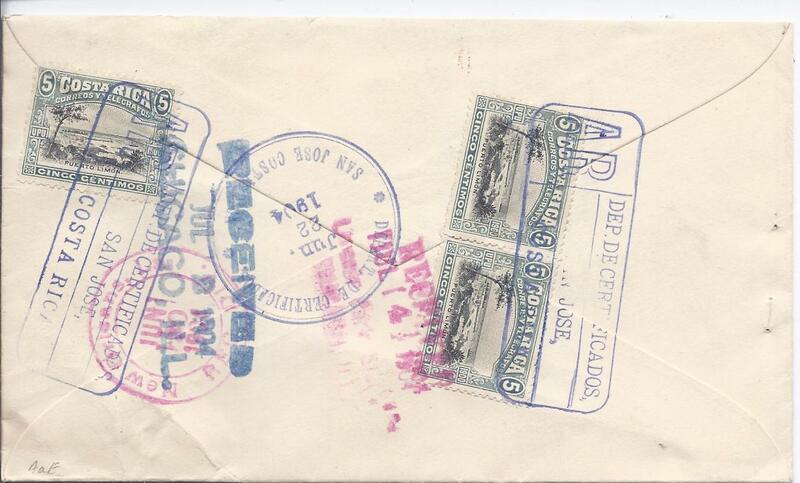 on reverse tied framed San Jose AR handstamps; fine and attractive. 1904 10c. 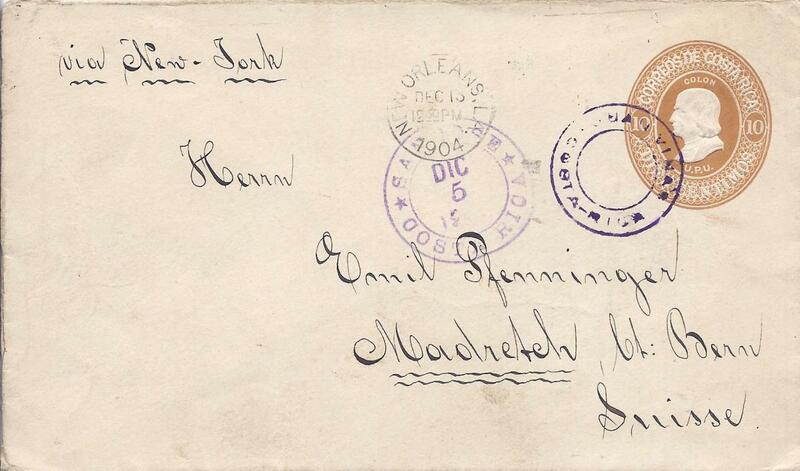 postal stationery envelope to Magretsch, Switzerland with double-ring Juan Vinas handstamp, San Jose transit and New Orleans transit to left, arrival backstamp.